VPI VPI36 PREGROOVE Static Control Flooring PRE-GROOVE CHARGE ONLY - Micro Parts & Supplies, Inc.
Static Control Products → VPI Static Control Products → VPI VPI36 PREGROOVE Static Control Flooring PRE-GROOVE CHARGE ONLY PRICE FOR ONE CARTON OF 54 sf! 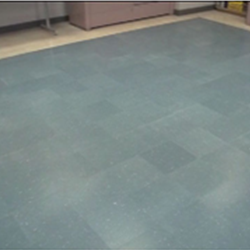 VPI VPI36 PREGROOVE Static Control Flooring PRE-GROOVE CHARGE ONLY PRICE FOR ONE CARTON OF 54 sf! Description Pre-groove available for additional charge on Squared Static Control Flooring 36" x 36" x 1/8"